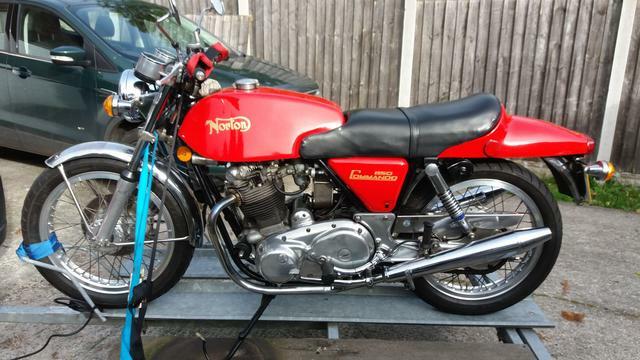 I've recently purchased quite a nice Norton Commando Hybrid, in as much it's a Mk11a frame with a Mk111 engine wrapped up in Fastback styling. Unfortunately the engine number is giving me a few sleepless nights worrying whether it's legitimate, although both frame and engine numbers do tally with the V5 log book. 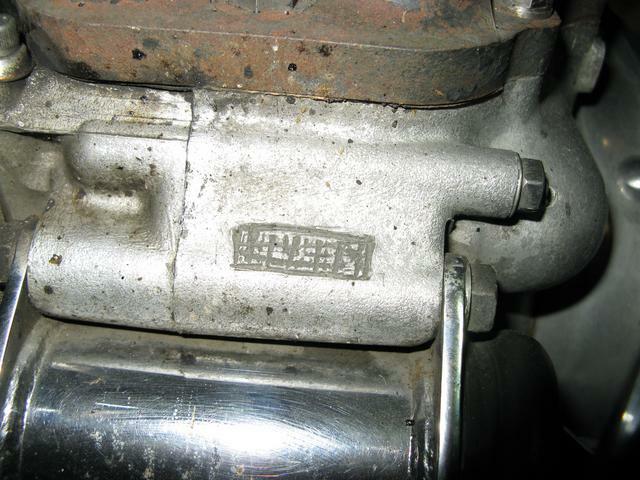 The engine number starts with 850 followed by 537*** with the same six digit number on the Mk111 gearbox. I am led to believe from what I have seen on various websites including Norvil that the Mk111 engine should have a number starting 325*** . I am led to believe from what I have seen on various websites including Norvil that the Mk111 engine should have a number starting 325*** . Yes (but not all). 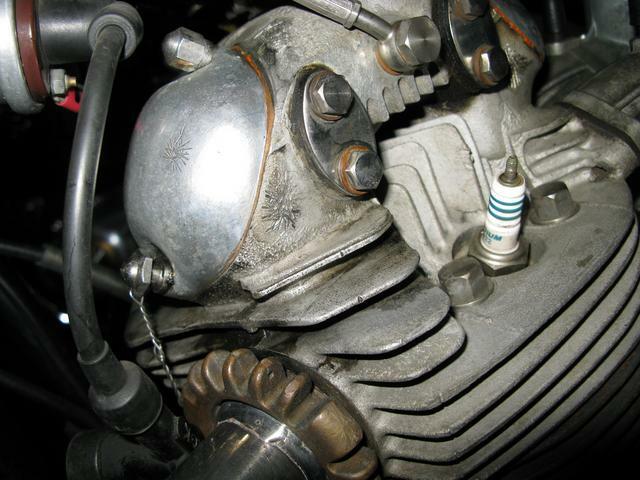 The 'last' 850 Mk3 Commando was 336539. Last edited by L.A.B. ; 10/31/18 9:48 am. If you post a pic of the numbers then it can be gauged whether the stamps are factory or not, 537*** sounds out of range. Note the 3 circles with horizontal lines. 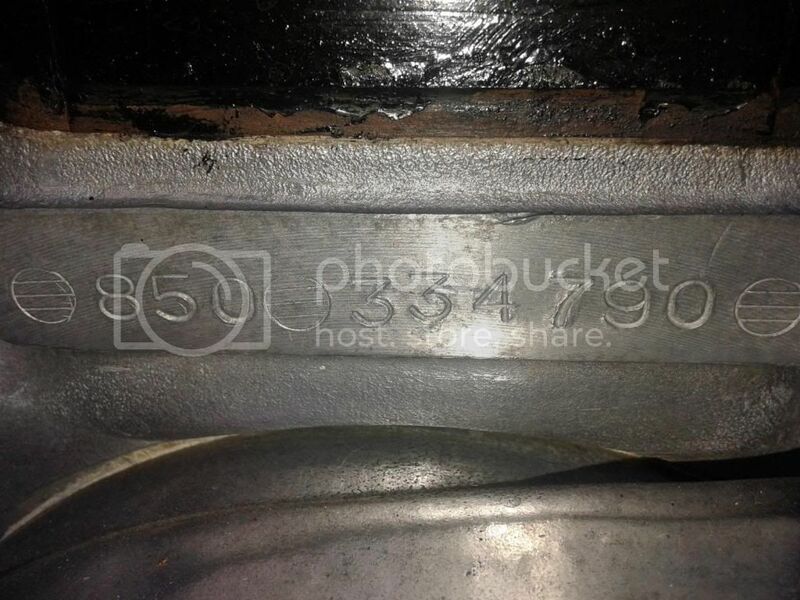 Unfortunately I don't have photobucket at the moment, but the numbers look to be in the same format with the three circles and the radial machine marks on the casing. and then link to them here. There will be a story to how your numbers are what they are but no doubt a lost story. 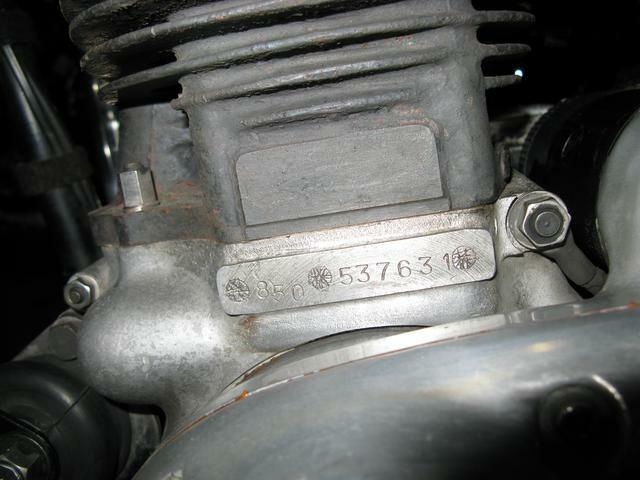 I am struggling to think of a nefarious reason for the numbers you have so suspect it was a spare engine used as a factory replacement and a number used that they expected would never be on a production bike off the line. It looks as though whoever built the engine was proud of his handywork as there are identifying marks all over the engine including the inside, although I've not ventured that far as it's running so well. Curiously the mk111 gearbox has also been converted to RH footchange with the Mk11a drum brake. Wonder why the 3 circle stamps with horizontal lines were defaced, making sure it was obvious they are not the original cases to later owners ? Curiously the mk111 gearbox has also been converted to RH footchange with the Mk11a drum brake. If you have a MK2a and your crankcases burst open and MK3 cases used as a donor then the conversion to right hand gear change allows you to keep the rear wheel and brake plus not have to consider the swingarm changes, foot rests etc with fitting a disc rear wheel. Does the gearbox have the electric switch insert screwed in from the front for the neutral switch ? Last edited by kommando; 11/29/18 2:20 pm. Or they (plus the similar chisel marks on the head) are an attempt to obliterate somebody else's identification marks? Yes it's got the switch and working neutral light. Even the electric start has had the 4 brush conversion and works very well. In fact without it I don't think I could start it on the kickstart from cold, as it's so stiff to turn over. It's running on straight 40s oil so I may change it to 20W50 along with my other British twins. L.A.B. - Look closely at the number 8 and the number 3 stamped into your case. . They are very different from the numbers stamped into the other case. From my many years in the motorcycle salvage business, I'd bet the numbers on your case have been altered or someone took a new virgin case and stamped the numbers. L.A.B. - Look closely at the number 8 and the number 3 stamped into your case. Look closely at the number 8 and the number 3 stamped into your case. . They are very different from the numbers stamped into the other case. From my many years in the motorcycle salvage business, I'd bet the numbers on your case have been altered or someone took a new virgin case and stamped the numbers. I would have to agree with you about the virgin case. I don't think original numbers have been rubbed off as the machining marks are still evident on the case and it's not as though anybodies tried to fake an original number because the number series is incorrect. I suppose the biggest mystery is that DVLA have accepted this number and put it into the log book. Last edited by Servodyne; 12/08/18 7:03 pm.